Even though we are yet to see any Nokia smartphones powered by Android, they are already making waves everywhere. 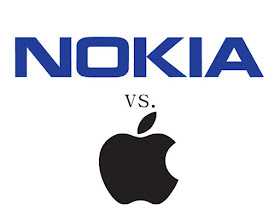 Nokia recently filed multiple lawsuits against Apple on grounds of infringement of 32 of their patents by Apple. Though this is not the first time Nokia will file a lawsuit against Apple; Back in 2009, Nokia sued Apple claiming that the tech titan had infringed on 10 of its patents dating back to the launch of the very first Apple iPhone in June of 2007. From the look of things, this is going to be a long legal battles between both companies but I’m sure it won’t delay the release of the anticipated Nokia smartphones powered by Android.